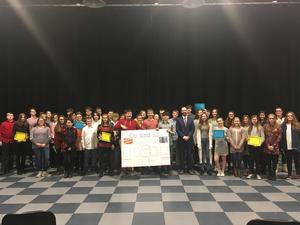 Tiffin Middle School students shared their Science Fair projects with a number of judges from the district, as well as the community at Tiffin University. Thank you to everyone who took time out of their day to support our students as they shared their knowledge. A special thank you to Mayor Montz for recognizing the students who earned a certificate of recognition. Congratulations to all the students and their hard work.